For auto repair in Dallas or Fort Worth, come to City Garage, the auto service experts. Get a free 30-point maintenance inspection today at any City Garage. The professional and ASE certified mechanics at the 14 City Garages are auto service specialists in Dallas and Fort Worth, Texas. We also offer a Auto Service Coupons, to assist you in this tough economy. 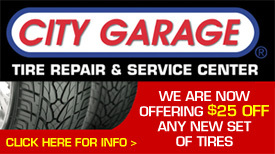 City Garage does Oil Changes, Transmission Service, New Tires, Brakes, Transmission Service, A/C Service and much more. If your car need auto service or repair, stop in any DFW City Garage for a free 30-point maintenance inspection. 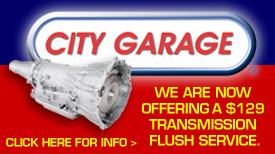 Call 972-283-CITY for the City Garage auto repair and service center near you. Since 1992 in the Dallas Fort Worth Metroplex, City Garage has been a leading auto garage for car repair in Dallas and auto service in Fort Worth, with our premium Auto Service Coupons. All DFW City Garages are locally owned and operated. 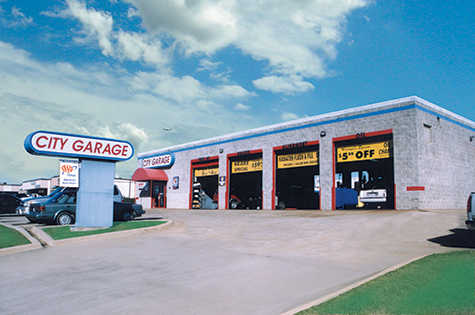 City Garages are AAA Texas approved and they are also Certified Auto Repair Center.